Written as a book for undergraduate students as well as scholars, Surviving Dictatorship is a work of visual sociology and oral history, and a case study that communicates the lived experience of poverty, repression, and resistance in an authoritarian society: Pinochet’s Chile. It focuses on shantytown women, examining how they join groups to cope with exacerbated impoverishment and targeted repression, and how this leads them into very varied forms of resistance aimed at self-protection, community-building, and mounting an offensive. Drawing on a visual database of shantytown photographs, art, posters, flyers, and bulletins, as well as on interviews, photo elicitation, and archival research, the book is an example of how multiple methods might be successfully employed to examine dictatorship from the perspective of some of the least powerful members of society. It is ideal for courses in social inequalities, poverty, race/class/gender, political sociology, global studies, urban studies, women’s studies, human rights, oral history, and qualitative methods. 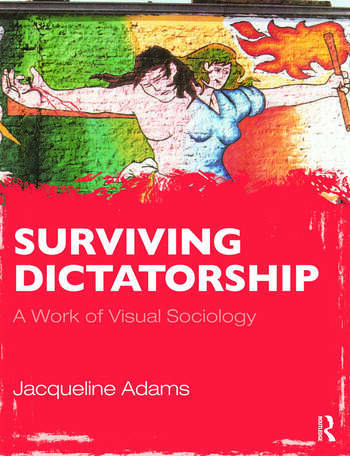 Jacqueline Adams is the author of articles and a book on the making of dissident art under dictatorship, shantytown women’s reactions to the end of dictatorship, exile, and decision-making about migration. She has won a Pacific Sociological Association award and had an article selected as a benchmark by SAGE. She has worked as an assistant professor of sociology in Hong Kong, senior researcher at the University of Coimbra, and research fellow, scholar-in-residence, and visiting scholar at the University of California at Berkeley, where she is currently based.